US semiconductor company, Qualcomm, has rejected Broadcom’s revised US$121 billion buyout offer, but proposed meeting its peer to see whether they can address what it called the bid's "serious deficiencies in value and certainty." 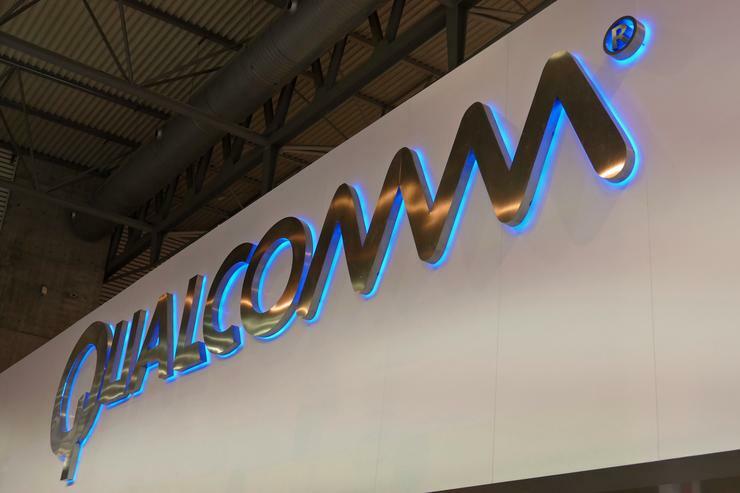 Qualcomm's response attempts to strike a balance between continued resistance of Broadcom's takeover attempt and heeding the calls of some Qualcomm shareholders, who urged the company in recent days to engage with its rival in case it can clinch an attractive deal. Qualcomm had rejected Broadcom's first unsolicited US$103 billion acquisition offer in November, without engaging further. In response, Broadcom nominated a slate of directors to replace Qualcomm's board. Qualcomm shareholders are scheduled to vote on these nominations at a March 6 meeting. Qualcomm said Broadcom's latest US$82 per share offer, comprising US$60 per share in cash and US$22 per share in stock, "materially undervalues" Qualcomm and falls short of the firm regulatory commitment it would demand given the significant antitrust risks involved. Broadcom did not immediately respond to requests for comment. Qualcomm shares were up 1.1 per cent at US$63.12 in after-hours trading on Thursday. Broadcom shares were up 1 per cent at US$232.00. Even though Broadcom has promised to pay a large breakup fee in the event regulators thwart the deal, as well as a "ticking" fee if the deal takes more than 12 months to close, Qualcomm believes Broadcom needs to offer a "hell-or-high-water" legal commitment to complete the deal irrespective of divestitures that antitrust watchdogs around the world may require. "If you are not willing to agree to do whatever is necessary to ensure a transaction closes, we will need you to be extremely clear and specific about exactly what actions you would refuse to take, so that we can properly evaluate the risk to Qualcomm's shareholders," Qualcomm Chairman Paul Jacobs wrote to Broadcom CEO Hock Tan in a letter published by Qualcomm. Broadcom has not specified the size of the breakup fee it is willing to offer Qualcomm, other than to describe it as an appropriate amount for a transaction of this size. Qualcomm argued on Thursday that this would not compensate Qualcomm if several large customers were to walk away or infringe their licensing agreements. Qualcomm also said in its statement that Broadcom's plan to address antitrust concerns by selling two Qualcomm businesses, its Wi-Fi networking processors and RF Front End chips for mobile phones, was inadequate to allay concerns that the deal would not win regulatory approval. Qualcomm added that the regulatory approval process could take longer than 18 months and disrupt Qualcomm during a period of explosive innovation in the industry that includes the development of 5G mobile phones, autonomous driving and the expanding use of computerized gadgets from refrigerators to thermostats. The takeover battle is at the heart of a race to consolidate the wireless technology equipment sector, as smartphone makers such as Apple and Samsung Electronics use their market dominance to negotiate down chip prices. Singapore-based Broadcom is mainly a manufacturer whose connectivity chips are used in products ranging from mobile phones to servers. Qualcomm primarily licenses its technology for the delivery of broadband and data, a business that would significantly benefit from the rollout of 5G wireless technology. Broadcom said on Monday its improved offer was premised on either Qualcomm acquiring NXP Semiconductors NV at the current disclosed terms of US$110 per share in cash, or the US$38 billion transaction being terminated. NXP shareholders, led by activist hedge fund Elliott Management Corp, are resisting the deal, pushing for Qualcomm to raise its offer. NXP shares closed at US$115.94 on Thursday, indicating investors were expecting a sweeter deal. Qualcomm's proposed acquisition of NXP was approved by European Union antitrust regulators last month. Qualcomm expects China's blessing as early as this month, at which point it has to decide whether it would raise its offer.